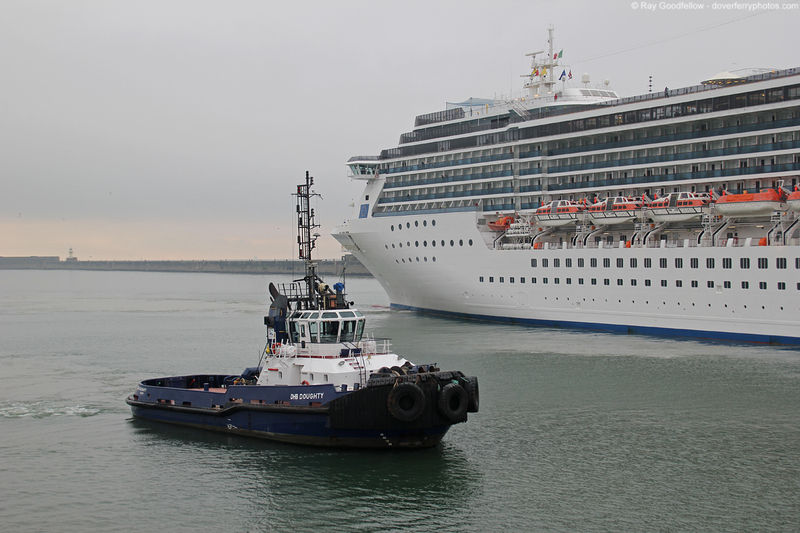 It’s another day so it’s time for another cruise ship arrival. 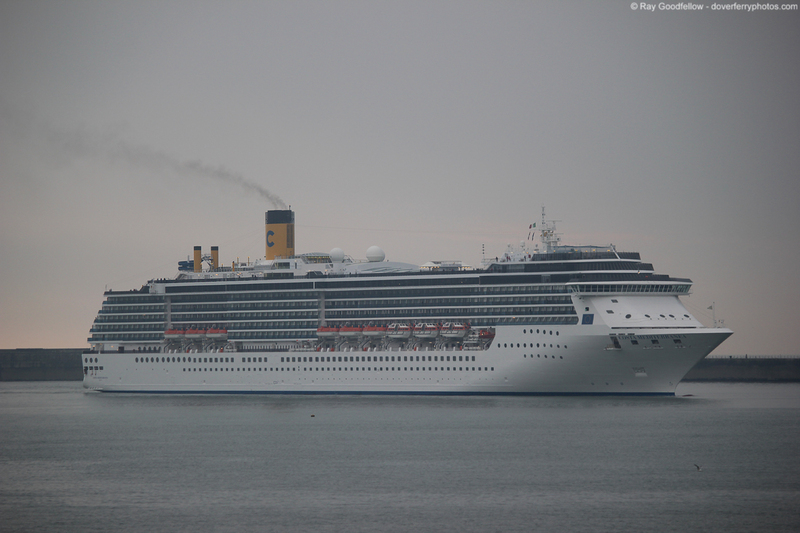 Today’s caller is the 85,000 GRT, ‘Costa Mediterranea’, operated by Costa Crociere. 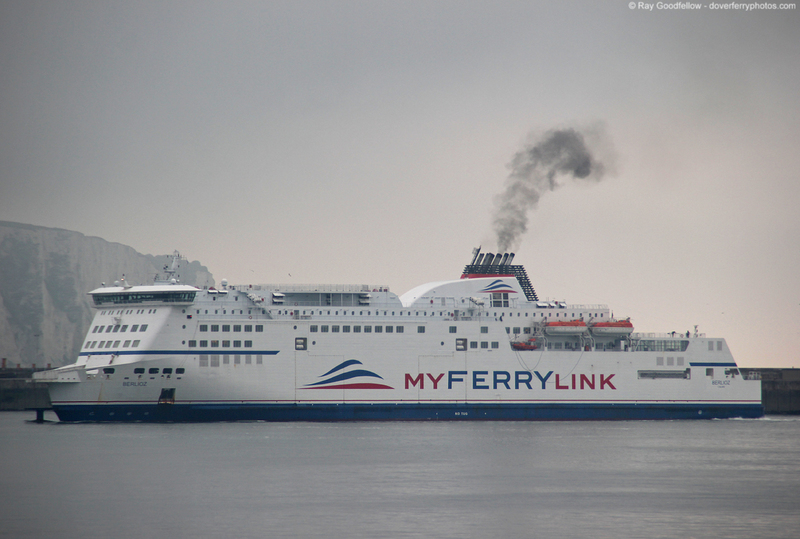 Built in Helsinki, Finland, she entered service in 2003 and reportedly cost €400 million to build. 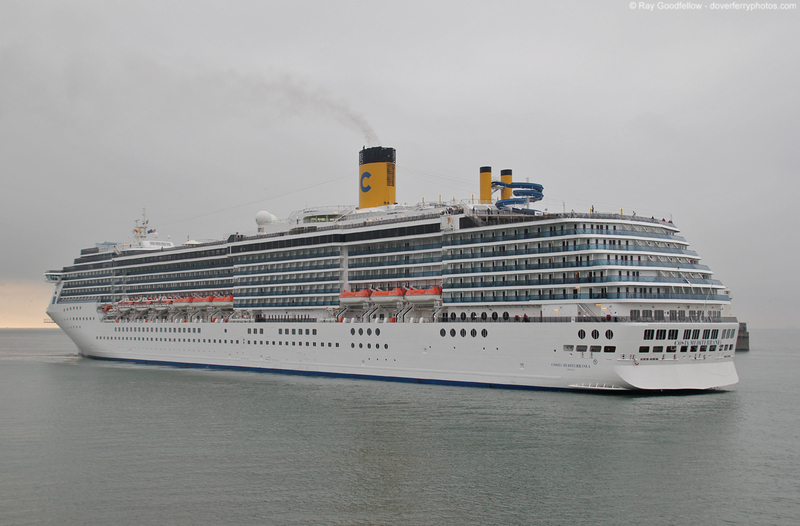 She is 292 metres in length and has a beam of 32 metres and has capacity for 2,100 passengers. 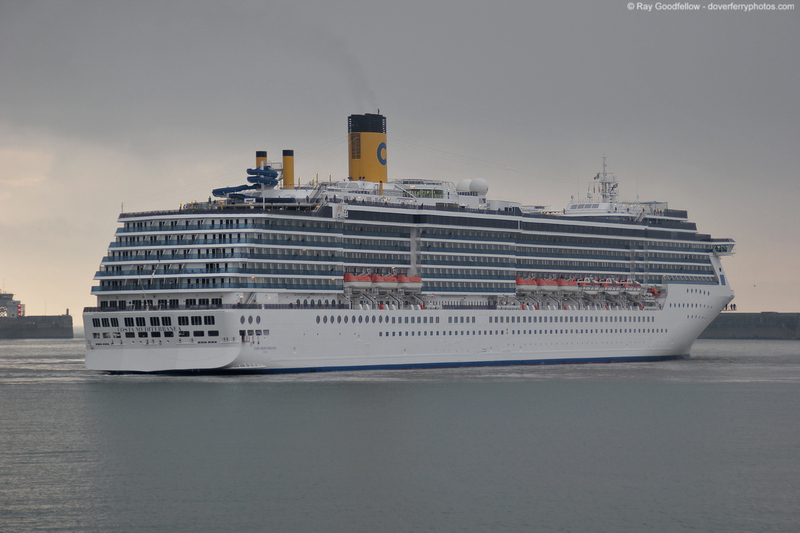 Costa is a part of the massive Carnival family and as a consequence some of their ships share a common design with those of their parent company. 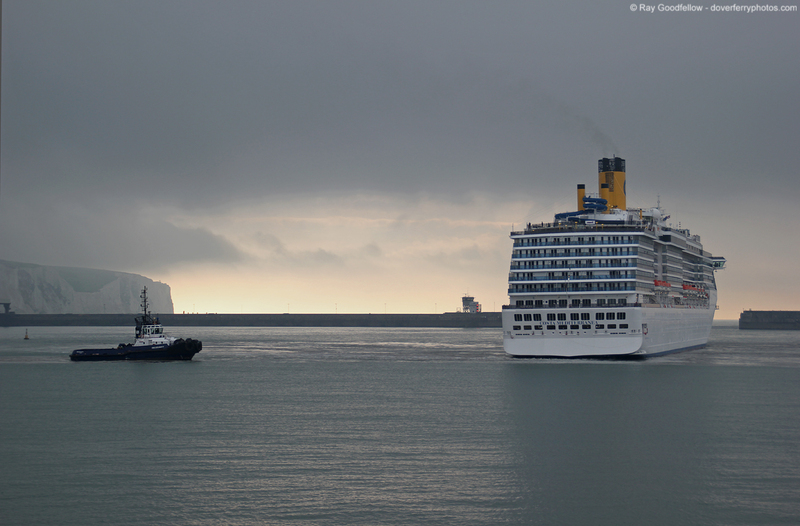 The ‘Costa Mediterranea’ is a member of the ‘Spirit Class’, she may look familiar as her near sister the ‘Carnival Legend’ operated a series of cruises from Dover last year for Carnival Cruises and her sister vessel the ‘Costa Atlantica’ has also called here at the Port of Dover in the past. 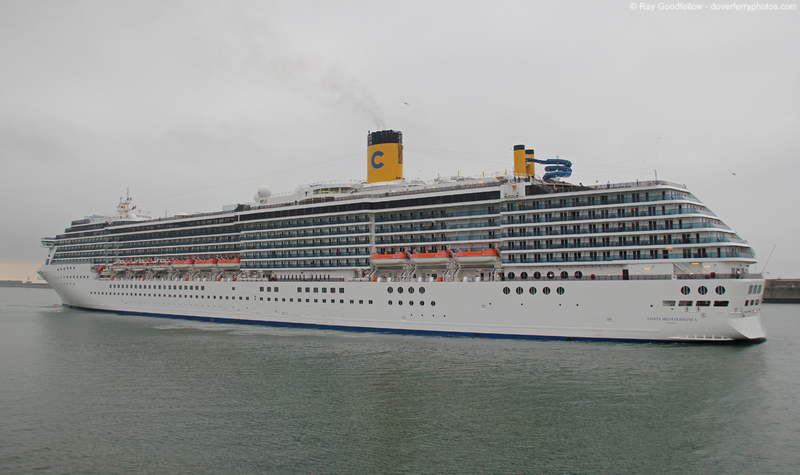 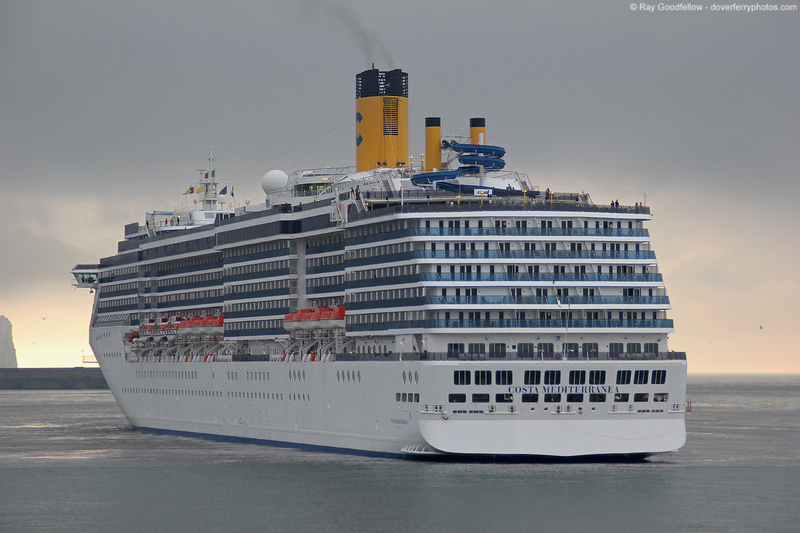 The Costa Mediterranea departed Savona, Italy on the 21st May calling at Marseille, Cadiz, Lisbon, Vigo and Le Havre. 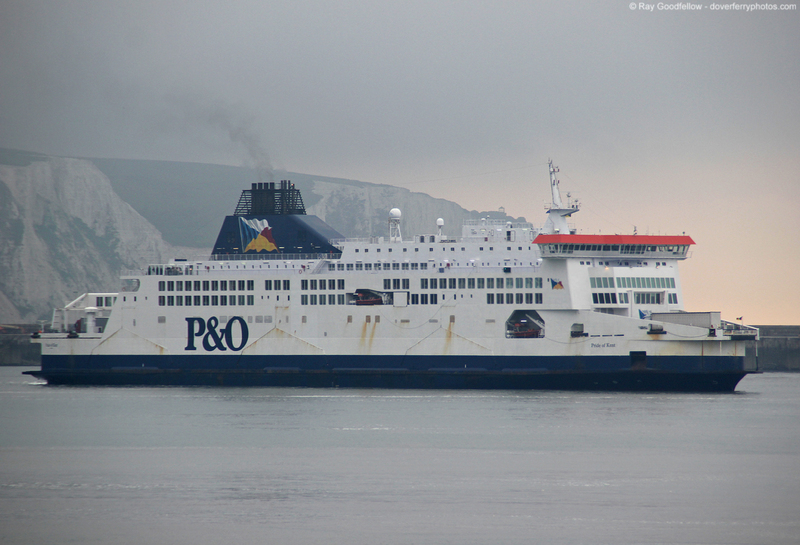 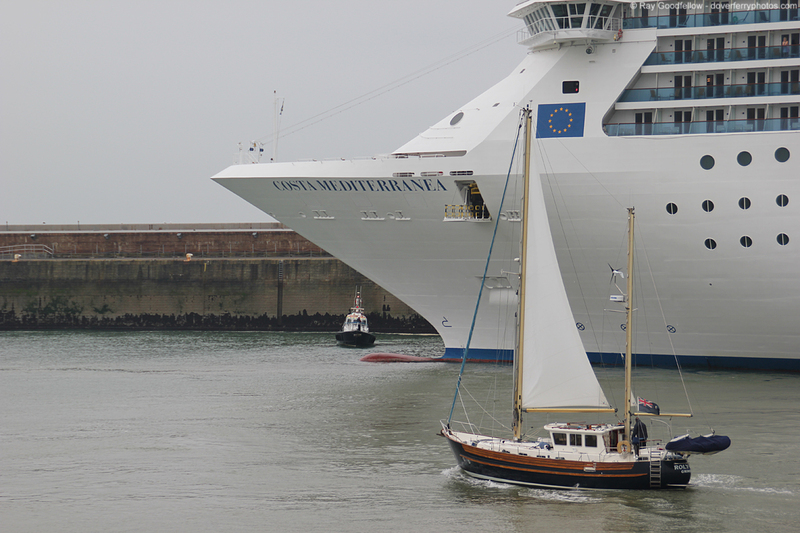 She departed Le Havre yesterday evening and after a leisurely cruise up the channel overnight she arrived at the Dover pilot station at around 06:20 this morning. 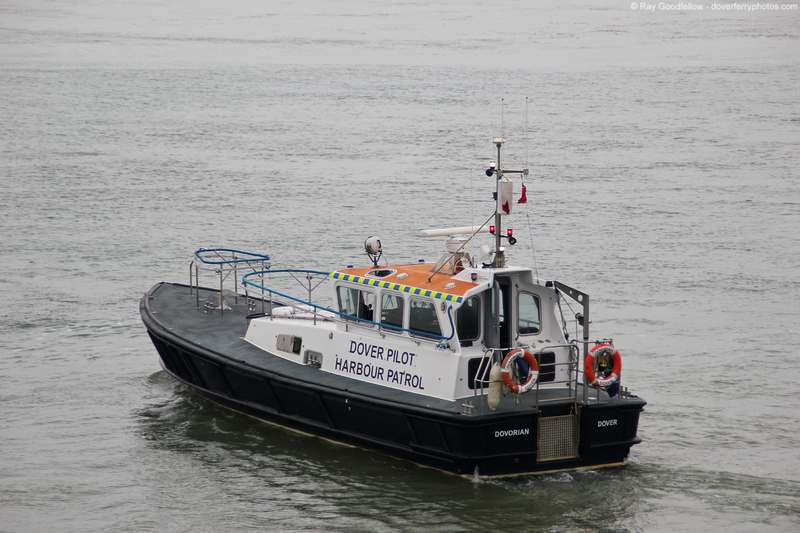 Once the Port of Dover pilot was aboard she entered via the Eastern entrance at 06:45 with the port tug ‘DHB Doughty‘ on standby. 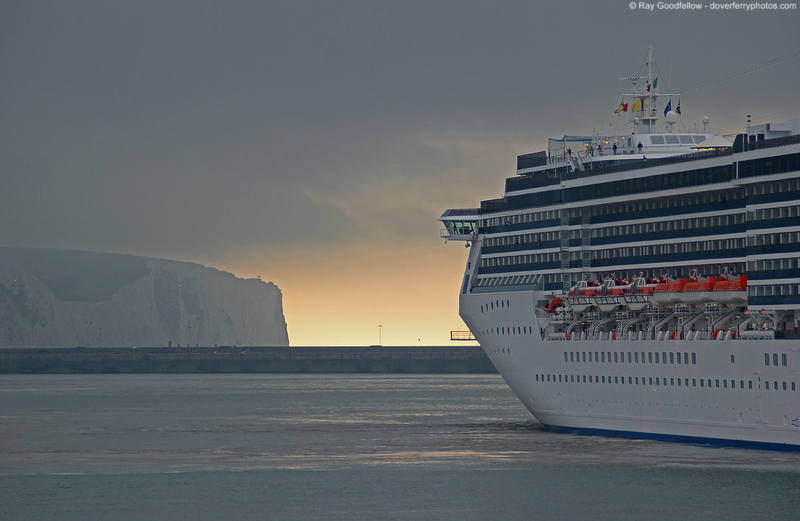 The weather this morning was a far cry from my last cruise ship arrival the other week which offered lots of glorious sunshine. 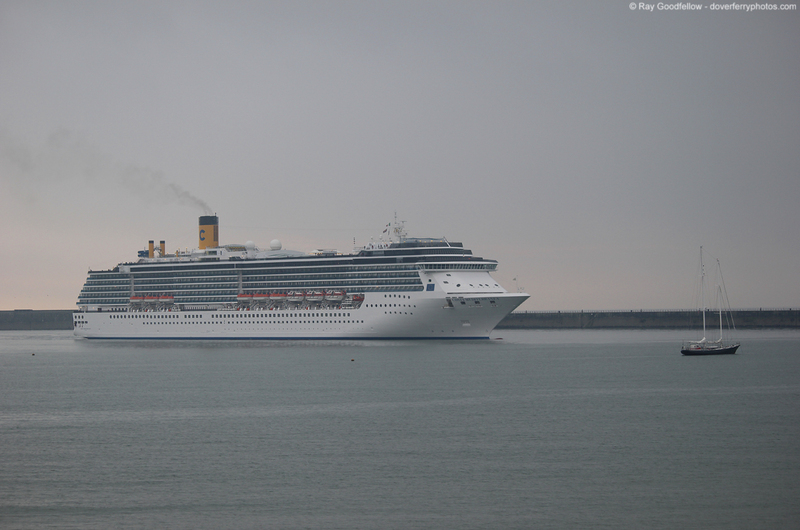 This morning was very overcast following overnight mist (ironically as I type up this article it’s now clear blue skies and bright sunshine, I suppose you can’t win them all). 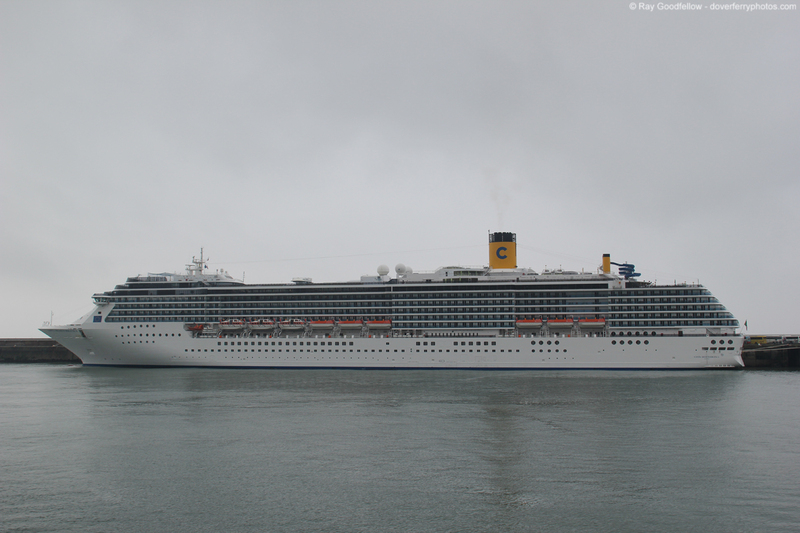 Upon departing Dover this evening the ‘Costa Mediterranea’ is heading to Amsterdam and then Hamburg, where she will be based for the summer operating cruises to the Norwegian Fjords. 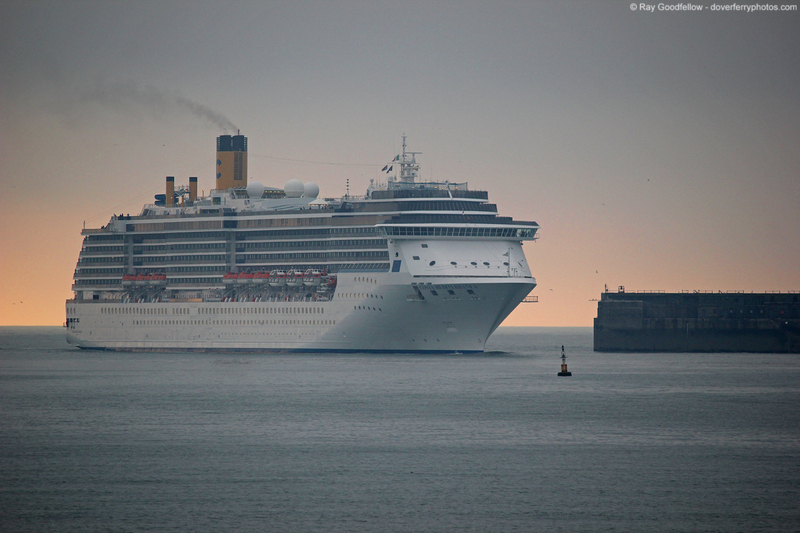 All photographs were taken with a Canon EOS 550D. 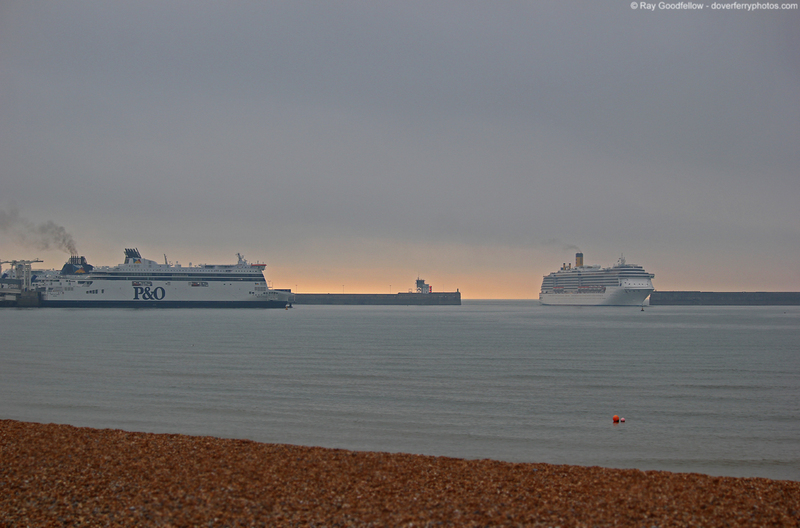 All Photographs on this page are the © Ray Goodfellow (Dover Ferry Photos) 2014, All rights reserved. 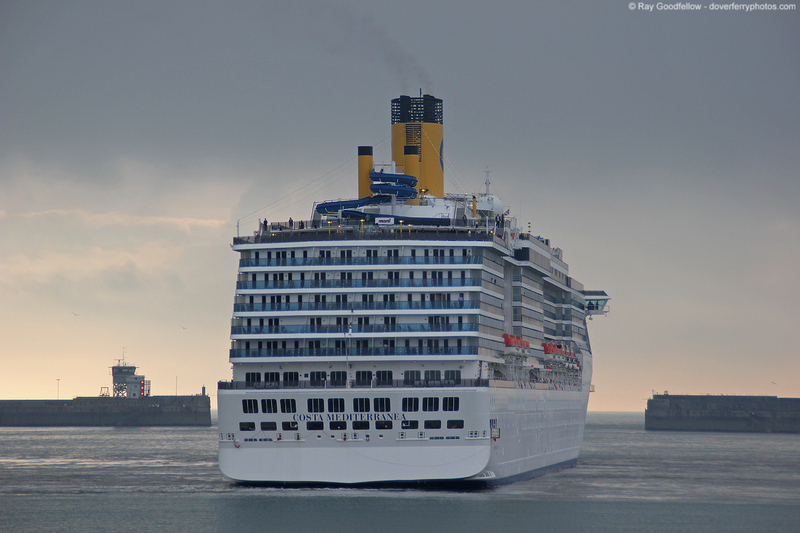 I would like to remind you that the photos on this page may not be used without prior permission. 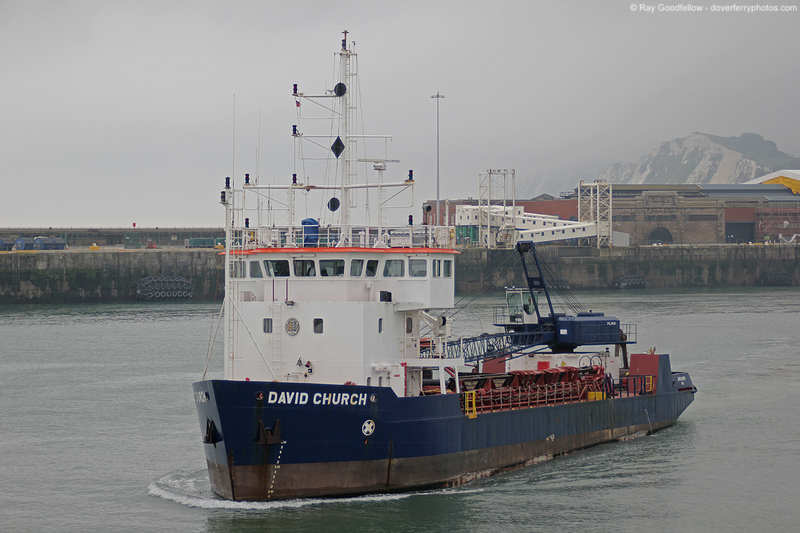 If you require high-resolution non watermarked copies of any of my photos for your own private collection or for publication please free to get in contact to discuss your requirements. 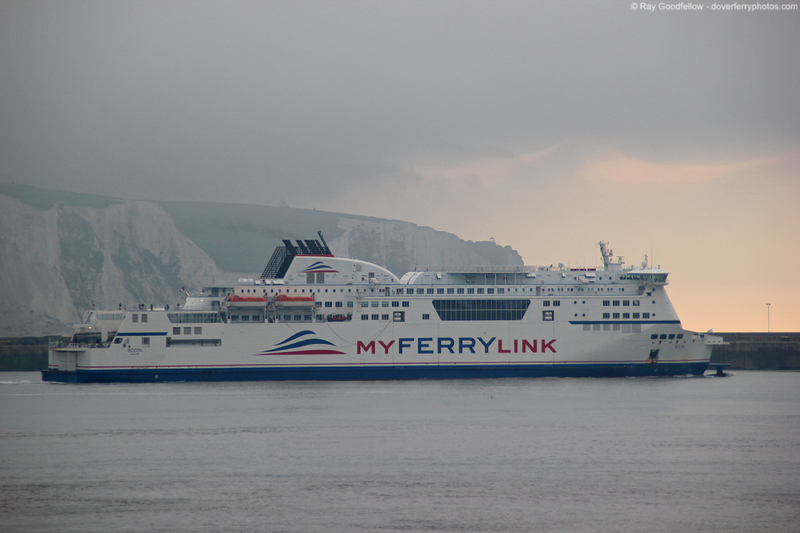 Red Sky in the Morning……….